Back last February, it was reported that FEMA/Department of Homeland Security was mysteriously constructing prepackaged AM transmitter buildings at various PEP (Primary Entry Point) transmitter sites across the country as something call “Primary Entry Point Expansion.” These buildings contain a 5 KW Nautel AM transmitter, EAS gear, satellite equipment (the exact equipment list is undisclosed) and a backup generator all in a shielded (Faraday Cage), prefabricated building placed inside of a fenced in compound at the station’s transmitter site. The buildings are being put in place, but not connected to anything in the outside world. They are planning to have about 80 (the number keeps increasing) of these structures in place when the project is completed by mid 2013. Why, inquiring minds want to know, would they do that? Those prices are roughly what a private company might pay, the government procurement costs would be higher. Multiply by 80 and it equals at least $16M, perhaps double that when project administration is considered. In the distant past, through something called the Broadcast Station Protection Program (BSPP), FEMA did provide generators, fuel tanks, transfer switches and occasionally a bomb shelter to key EBS stations throughout the country. In the recent past, FEMA and the government in general has been reluctant to fund even mandated changes in the EAS system, first in 1997 when EAS was first implemented and again in 2011 when the CAP modifications were mandated. Why are they now spending at least $16M to provide EMP hardened facilities for AM radio stations? The rational for this current wave of government generosity, as reported in several industry periodicals, is simply a matter of supplying in depth backup facilities in accordance with Executive Order 13407. The design of the structure and manner of installation seems to indicate the main concern of FEMA is some type of Electromagnetic Pulse (EMP). If an EMP were to happen and it took out the station’s main transmitters, these could be connected to the existing antenna system and switched on. They would provide emergency programming and interface directly with FEMA’s IPAWS (Integrated Public Alert and Warning System). No mention at all of the station licensee’s ability to use these facilities, only FEMA. It would seem that the licensee would be excluded from using their own frequency if these “backup” transmitters were put into use. The interesting thing about this is that there is a coincidence with the upswing of solar cycle 24. Back in 2008, likely when this project was likely first dreamed up, the predictions were for a great number of sun spots in this cycle. That has not happened and in fact, this cycle in now predicted to be the weakest solar cycle since 1823. 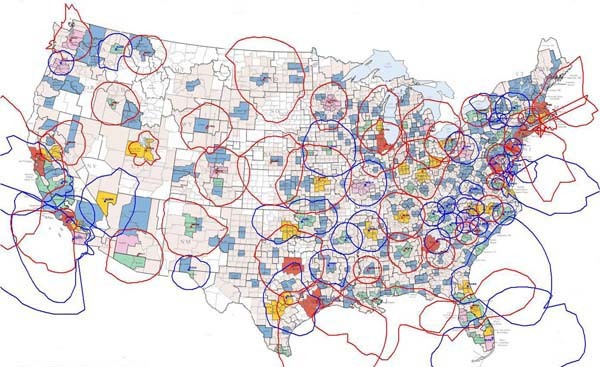 Even weak sun spots cycles can create problems, but does that warrant supplying 80 backup transmitters, generators, fuel tanks and buildings to various AM broadcasting stations throughout the country? Further, solar flares and Coronal Mass Ejections (CME) are fairly slow moving events, the sun is well monitored; alerts would be issued and precautions taken. The story doesn’t add up, but it is difficult to say exactly why. One other thing to consider: HEMP (High altitude Electromagnetic Pulse from a nuclear air burst). AM transmitters are more robust when it comes to HEMP than FM transmitters are. This is because of their modulation type and frequency of operation. A 5 KW AM transmitter can withstand RF voltages six or eight times it’s name plate carrier rating. Tube type transmitters are even more robust than solid state. The FM broadcast band falls right in the middle of the HEMP fast pulse frequency (72-225 MHz), which will likely resonate in the tuning circuits of the transmitter exposed to it and destroy all of the active devices. Not so with AM transmitters. A HEMP event would cause catastrophic damage to the electrical grid across wide areas of the continent (see also; Starfish Prime). The voltages instantaneously induced on computer circuit boards and power supplies would be so high, they would likely burst into flames if they were close enough to the detonation. The same for almost all other electronic devices with circuit boards. It would set the country back one hundred or more years, technologically, causing massive disruptions in the food supply chain. Such an act would surely be met with massive nuclear retaliation by the US. The military has not only hardened all of it’s communications and command facilities, they have undergone rigorous EMP testing, finding and fixing design flaws. Thus, the US military’s capacity to wage war would continue undiminished after a HEMP event, a fact that all other members of the nuclear club are surely aware of. Who, in their right mind would launch such an attack? Nobody. In the light of current government trends where the FBI engages in a one year sting operation on a Amish farmer selling raw milk, the Bureau of Alcohol Tobacco and Firearms is running guns to Mexican drug cartels, The US Department of Education employing its own SWAT team to serve warrants for delinquent student loans (they say no but offer no other explanation), Gibson Guitars being repeatedly raided for improperly labeled wood products, and so forth, makes me wonder what the government is doing. Or are they. We need to start asking more questions. 12 comments to What is the deal with those FEMA/DHS AM backup transmitters? Federal government self-preservation is job one. Based on your analysis, this particular project seems to be more technically astute than most, although it’s too bad the public won’t have any working receivers if the scenario plays out. How about all those Canadian transmitters? What happened to Buy American? It’s OK as far as I’m concerned, since it bolsters the fortunes of Nautel, and I’ve got one of their fine transmitters too. I begrudge nothing to Nautel or their transmitters, they are fine units. Great Article Paul ! Welcome to the world of conspiracy. I had no idea that the FEMA was preparing in such a way. Though it seems to me a logical step the way i see things evolving in the US . You ask the potent question WHO would be foolish enough to launch such a EMP attack on the states. Your answer NOBODY seems a little rash to me. I have a long standing theory on the current political and imperial ambitions of the USA. Modern life as you and I know it cannot last . It is impossible . The lifestyles that we all lead are unsustainable and the government of your country has been preparing a solution that will both let it maintain power and it’s imperial designs. Sadly it involves a police state with minimum technological access to the common person.If you really think about it from the governments standpoint there is no choice . Technology as we know it has since its birth started a universal awakening that put any power structure that has been ever conceived of at risk of failure. Look what is happening on Wall Street right now and one can see the influence of a mass awakening . So if you are following my logic an EMP attack launched by your own country by conventional means or an intentional overload of the ionosphere by radio frequency manipulation from such devices as HAARP and NEXRAD stations is not such a big stretch.. There are people such as Dr Nick Begich who believe you can send the ionosphere into overload with HAARP like devices and create an EMP event or worse. This would bring about the ability for your government to impose martial law and still pursue its imperialistic goals. In fact would be a great boost to those goals much like 9/11. They would have license to attack anyone they would care to. The possibility that this EMP event would be world wide would be high leaving most nations that have not prepared for such events very vulnerable. The long and the short of it is if you look at today’s technology and look at the revolutions it has caused to this date , knowing that technology as we know it has grown exponentially.At a rate mind boggling to the people who have witnessed it. If technology means access to knowledge and knowledge is power ,then those in power are shaking in their boots. I don’t think that this solar cycle hype that we have feed on all the major networks for the last half decade are unintentional . I believe they are well planned planted seeds of a potential event to soften the psychological blow of what is too come . In reality the only people who are even aware that this solar cycle is a limp prick is us the radio geeks of the world. And who listens to radio or radio geeks ?? MY two cents worth.Time will tell . I do really think that your country spending its way into the position it is in and the fact that the world is waiting with baited breath for 2012/2013 to roll around is a well orchestrated plan and not a mathematical fluke. Doc John, thanks. The question was “Who in their right mind,” which brings about the answer nobody. It is designed to make a person think; there are depraved persons, sociopaths and psychopaths that seem to rise to high positions who would likely relish such a thing. History is rife with examples. There is a great book out there called “The Shock Doctrine” (Naomi Klein) which explains almost everything that has happened in the last twenty years (or more). An EMP would deliver just such a shock. After a few weeks of limited food and water, people would be fighting to get on the buses to the special resettlement camps run by daddy FEMA. See also, New Orleans and Hurricane Katrina. About the occupy wall street, in as much as there is a lot of anger out there, I question the motives of some of the protesters. I am not sure if they are ignorant of the real causes of the economic collapse or they are co-opting the protest to turn it into a re-election campaign for Mr. Obama. Bears watching. The “Shock Doctrine ” is an incredible book one of my favorites and I have to say an eye opener. It is always good to re-examine the history that takes place in ones life time . Because it probably wasn’t as rosey as the media at the time portrayed it. I question as well the Occupy Wall Street protests . I think their fears are being manipulated in a way that is redirecting their anger to fill someone else’s needs. It’s the FEDERAL RESERVE which deserves their anger. Wall Street is just a reflection of everyone’s greed. When I see the anger and the passion in the eyes of the youth in the protests I am reminded of the passion of the youth during the 60’s. Another group who’s potential was manipulated and politicized. Like today the potential for change is there but will it see the light of day. You mean the privately owned banking cartel known as the Federal Reserve. You are correct, I heard the local NPR station doing something called “Vox Pop” this afternoon. It was a call in show were the host pleaded ignorance on the occupy wall street protest because no one had come up with one particular thing to be protesting. A surprising number of callers mentioned the Federal Reserve, others talked about corporatism, fascism, the non-existent right/left paradigm, etc. It seems that at least people listening to that radio station have a growing awareness. We shall see how it all plays out. If there’s a big EMP, who’d have a working radio afterwards to listen? (I might, I have heap plenty tube rigs, but I’ll probably have priorities other than hooking up batteries and stringing a new antenna). Nope, I think the double-noided theory of a self-directed atomnc airburst is unlikely; more probable is FEMA has had a fire lit under ’em. They don’t want another Katrina embarrassment and they are milking Homeland Security for every dime they can get. @Roberta, you are probably right. Why does this sound like the 1950s all over again. What’s next? Are they going to put little triangles on our radio and tell us to tune to 640 or 1240 when we see the flash? Re H.A.A.R.P. ->Read Dr. Nick Begich’s book and you will see he has very little understanding of electromagnetic radiation. Re AM versus FM I could find no confirmation that VHF pulse energy is greater than longer wave length energy. Is FM is more vulnerable? Higher gain FM antennas discriminate against sky wave. I did a Google search. I saw that HEMP pulse rise times at ~ 5 nanoseconds, meaning that peak energy would be a much longer wave lenth than the FM band. 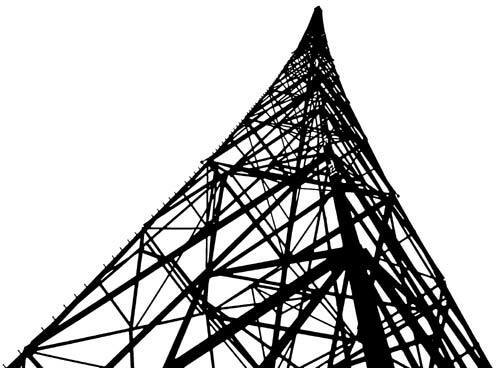 In any event, the much larger aperture of a medium wave tower would gather quite a lot more energy. More to the point, the articles I saw mentioned antennas in this system are left unconnected. So exposure to a pulse would be via other means. By the way, old AT&T microwave station buildings were concrete block buildings with double shielding. That system was designed to withstand a nuclear attack. Also, a number of people have commented: What would be the point, all the radios would be destroyed. I think enough of AM radios would survive (perhaps about 10%), especially car radios, which are fairly rugged and also fairly well shielded inside the Faraday cage that is the car’s steel body. At AM frequencies, this would likely be enough.